agnès b. is a privately owned, family-operated French company, founded in 1975 that today includes 282 stores worldwide, two contemporary art galleries, a hybrid art periodical, "Point d'Ironie" and the film production company, Love Streams. In March 2009, JRP-Ringier published Collection agnès b., a noteworthy art book that highlights more than 300 pieces of artwork from her personal collection. In 2010, agnès b. was awarded the Cross of Officer of the Légion d'Honneur, issued by the French government. agnès b. is the principal producer of the scientific research vessel Tara, which is currently on a 3-year global expedition to study oceanic ecosystems. 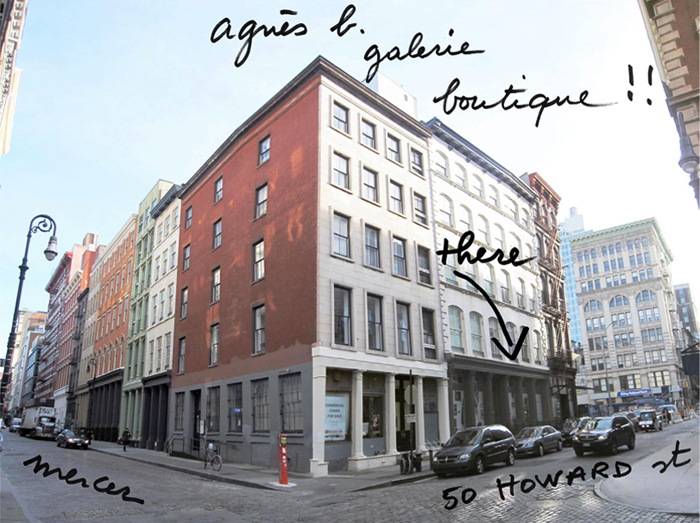 For more information see www.agnesb.com and the recently launched www.50howardstreet.com, a website dedicated to the agnès b. Galerie Boutique in New York.